Concise But Not Precise; A Few Extra Words Needed For Mueller Report Reporting : NPR Public Editor The Attorney General has seen the report; reporters haven't. U.S. Attorney General William Barr listens during a Department of Justice African American History Month Observance Program. Three little words. Or even just two. That's all it takes. NPR has come in for criticism this week for some of the wording it has used to refer to special counsel Robert Mueller's report on his 22-month investigation into Russian interference in the 2016 elections. The most prominent criticism was on Twitter from Howard Dean, the former Vermont governor, Democratic presidential candidate and chair of the Democratic National Committee. Mueller's report has not been made public. What anyone outside the Justice Department knows about it comes from a four-page summary released by Attorney General William Barr. The complaints were triggered by this March 26 All Things Considered report which stated flatly: "Well, special counsel Robert Mueller has delivered his report, clearing President Trump of coordinating with Russia to interfere in the 2016 election." There have been other NPR reports using similar language, as well. As Dean and others who registered concerns put it, no one in the media has seen the report. 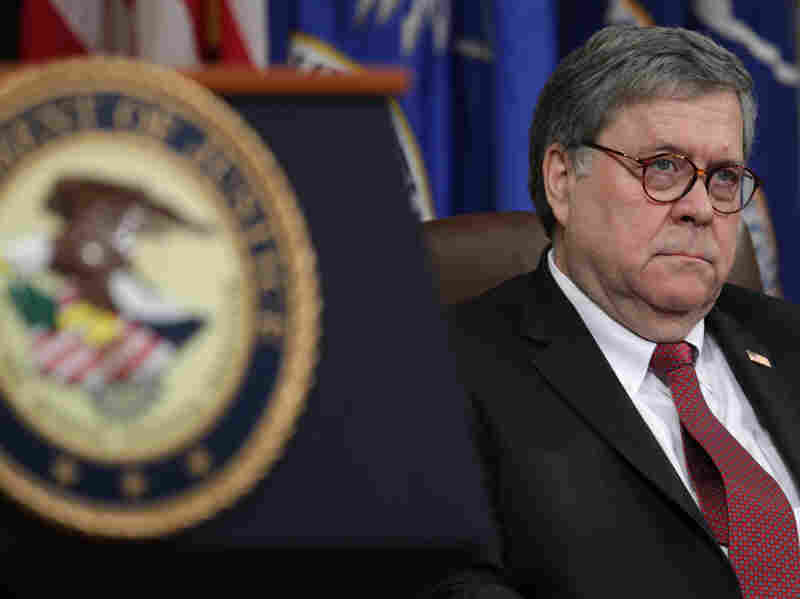 They can report only about Barr's characterization of it, which included a less-than-categorical quote from the report itself: "The Special Counsel's investigation did not find that the Trump campaign or anyone associated with it conspired or coordinated with Russia in its efforts to influence the 2016 U.S. president election. As the report states: '[T]he investigation did not establish that members of the Trump Campaign conspired or coordinated with the Russian government in its election interference activities.'" Carline Watson, the executive producer of All Things Considered, told me, "The big question with the Mueller investigation was whether the Trump campaign conspired with the Russians. The answer from the Special Counsel was no." My view: Citing sources is a basic tenet of fact-based journalism. If NPR has not seen the report and has no more direct statement from Barr or Mueller, then NPR should cite its source, which is the Barr letter, not the special counsel's report. That's where those few words I mentioned at the beginning come in. I liked newscaster Dave Mattingly's streamlined way of referring to the Mueller report Thursday morning. At one point he called it "Barr's summary of ..." (specifically, "Barr's summary of Mueller's report shows no one in the Trump campaign conspired or coordinated with Russia to influence the 2016 election.") At another point, it took him just two words: "Barr says...."
NPR's Sam Sanders, in a Wednesday conversation with Morning Edition host David Greene, had this to say about another reporting situation, the coverage of the multiple twists and turns surrounding "Empire" actor Jussie Smollett's claims of being the victim of a hate crime attack: "A lot of newsrooms took what Jussie's lawyers were saying or what Chicago PD was saying at total face value, and they just weren't skeptical enough all around." Sanders added that "journalists have to be more comfortable saying, hey, some stories, we won't have all the answers." The same should apply to the coverage of the Mueller report. This has nothing to do with taking sides in what inevitably is a highly political story. It's a recognition that this story has not yet ended, with Barr expected to make public parts of the report in April. Until that happens, NPR should be maintaining an appropriate skepticism about exactly what's in the report by keeping its language precise: We know what Barr has said about the report; we don't yet know all of what the report itself says.